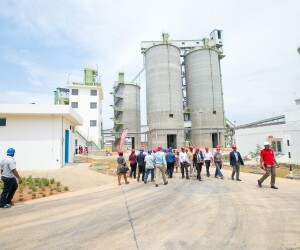 PPC Zimbabwe showcased its new milling plant to customers in Msasa, Harare at the weekend. Started in 2014, the project has been completed on time and under budget, and will bring PPC Zimbabwe’s collective production capacity to 1.4 million tons per annum. This will see the company able to meet demand in Zimbabwe’s economic hub, as well as boost country exports to regional markets including Zambia and Mozambique. 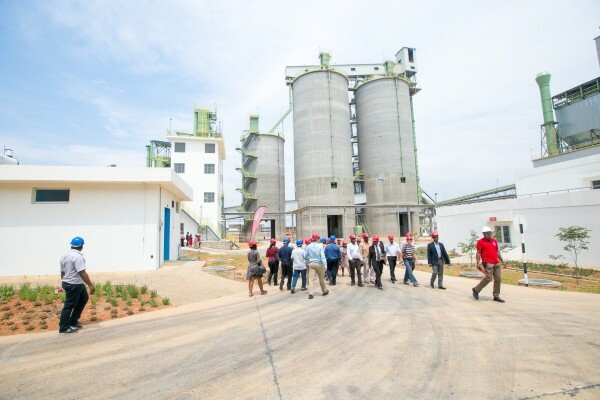 The plant has been built to world-class standards, incorporating the bulk-handling and palletising technology that was recently introduced at PPC’s Bulawayo factory, a first for Zimbabwe, to better meet customer needs. It was additionally designed and constructed in line with global emissions standards so as to minimise environmental impact in the long-term. On-site bulk delivery for large construction projects will be another core feature of the plant’s offering, and surrounding communities can look forward to additional investment and support as part of PPC Zimbabwe’s greater CSI and enterprise development strategies. Part of PPC’s African expansion strategy rollout, PPC Zimbabwe’s Msasa plant is one of three critical continental investments expected to yield returns in the near future. “PPC’s plant in the Democratic Republic of Congo is nearing the end of construction, and our operations in Ethiopia will be coming on line in the first half of 2017,” notes Darryll Castle, CEO: PPC. Back home in South Africa, work on PPC Slurry’s Kiln 9 upgrade is also progressing according to plan, making it an exciting time for the group on the continent. Speaking at the event, Castle highlighted that the investment in the PPC Msasa plant was representative of a greater, unwavering commitment by the company to Zimbabwe and the region as a whole. “Our heritage in this country spans over 100 years, with PPC’s Colleen Bawn and Bulawayo factories providing construction products and solutions for some of Zimbabwe’s most iconic landmarks, including Victoria Falls Airport, the Harare International Airport and Lake Mutirikwi, among others. The completion of this project marks the beginning of the next chapter in our journey towards leaving a meaningful legacy of growth and development, and our quest to build Africa together,” he concluded.